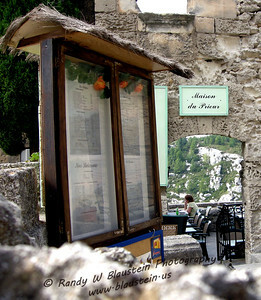 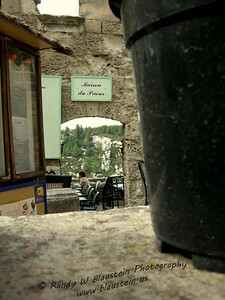 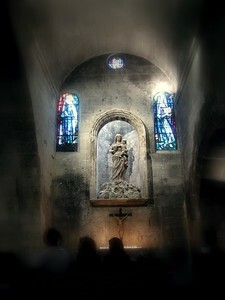 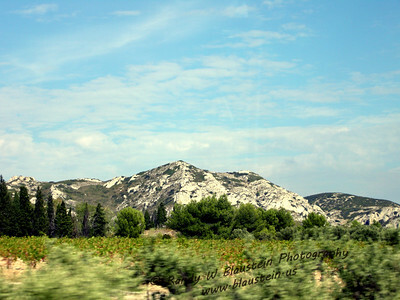 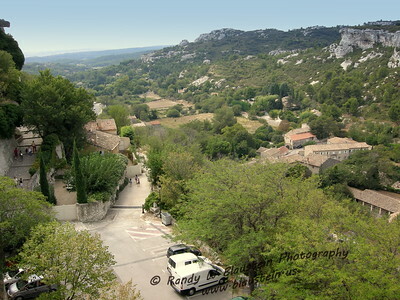 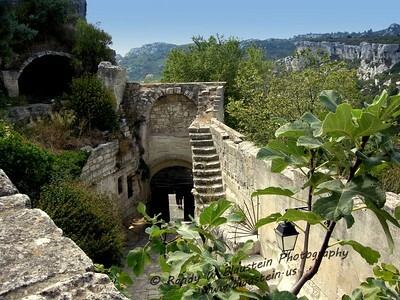 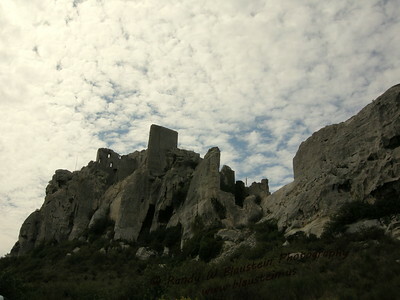 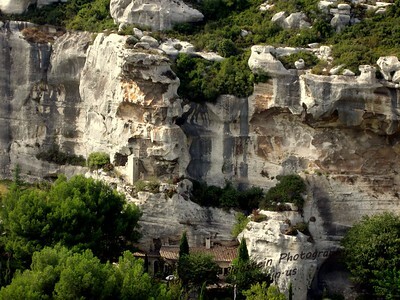 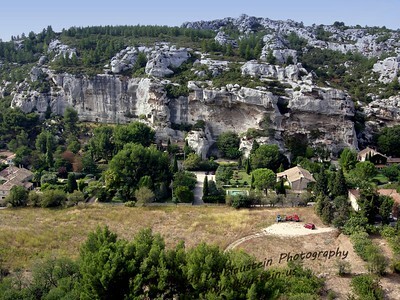 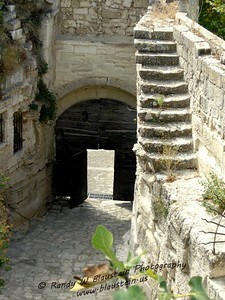 Les Baux-de-Provence is a commune in the Bouches-du-Rhône department in southern France, in the province of Provence. 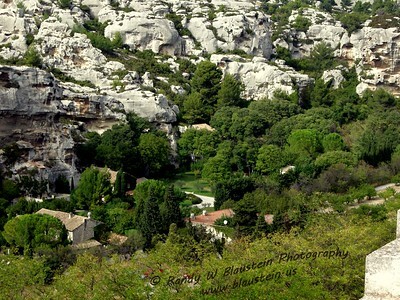 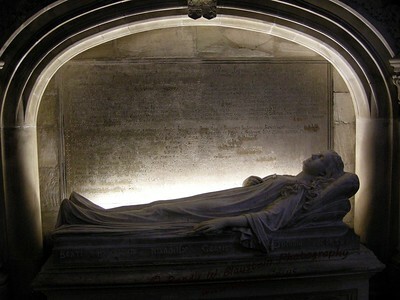 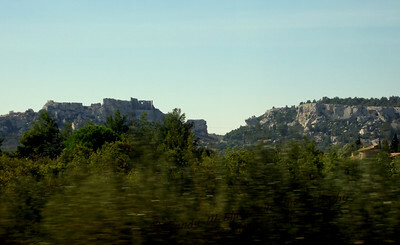 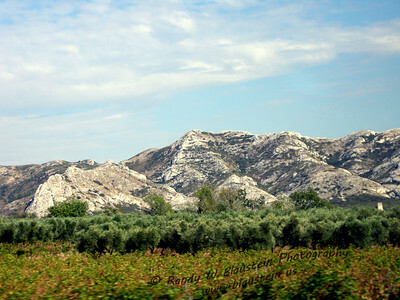 It has a spectacular position in the Alpilles mountains, set atop a rocky outcrop crowned with a ruined castle overlooking the plains to the south. 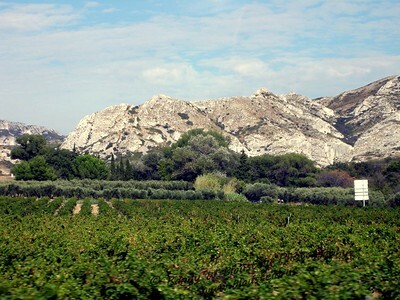 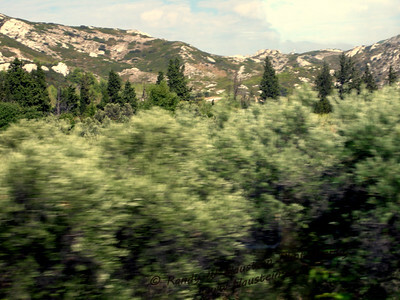 Its names refers to its site — in Provençal, a baou is a rocky spur. 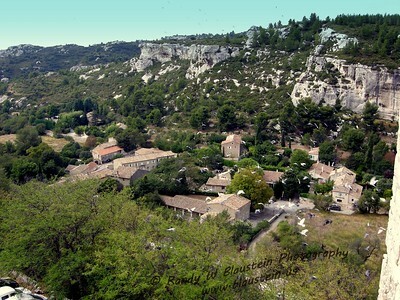 The village gives its name to the aluminium ore Bauxite which was first discovered there in 1821 by geologist Pierre Berthier. 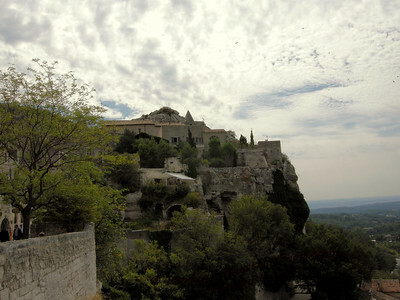 Les Baux is now given over entirely to the tourist trade, relying on a reputation as one of the most picturesque villages in France. 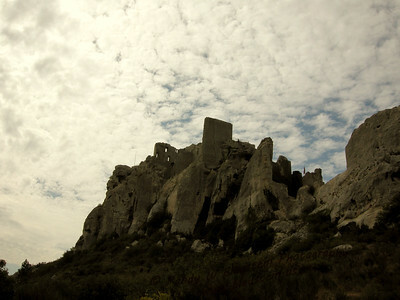 Its population of 22 in the old village is a fraction of its peak population of over 4,000, and many of its buildings (in particular the castle) are picturesque ruins.